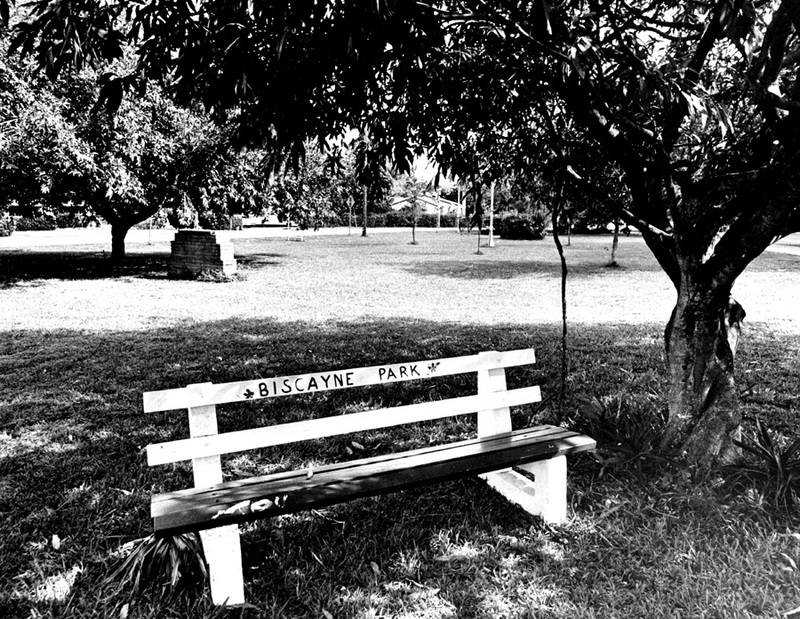 Biscayne Park, a tiny triangle-shaped patch of land in Northeast Dade County, is one of Miami’s best kept secrets. In 1931, there were some 85 homeowners in the quiet community, which was the third stage of a development called Griffing-Biscayne Park Estates. Both Miami Shores and North Miami, larger municipal neighbors to the north and south of Biscayne Park, grew out of the development. 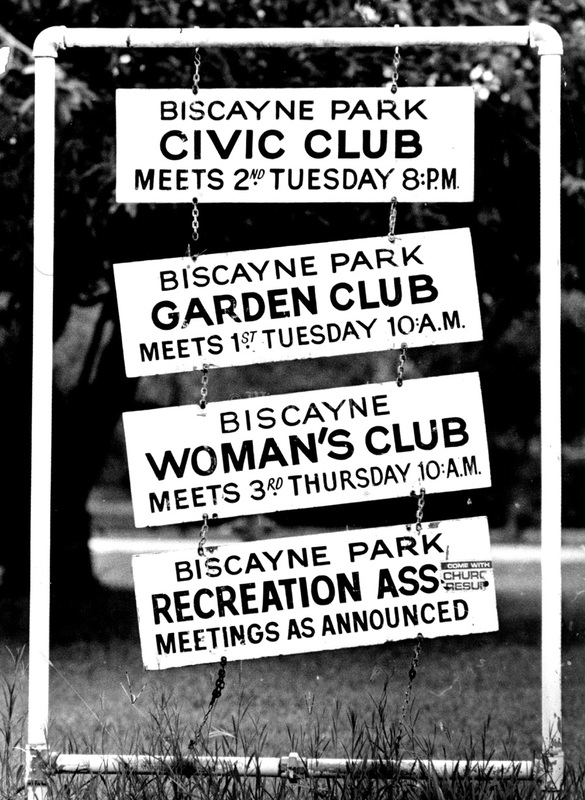 On June 16, 1933, the Florida Legislature passed Senate Bill 267 creating Biscayne Park. 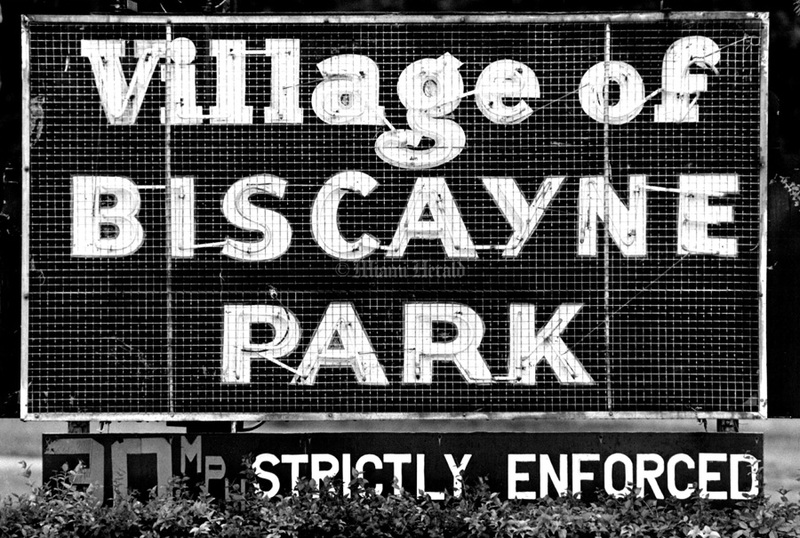 The village is bordered on the north by NE 121st Street, on the south by NE 107th Street, on the east by West Railroad Avenue and on the west by Griffing Boulevard Biscayne Park may be best known as a speed trap to drivers along busy NE Sixth Avenue who ignore the, “Don’t Even Think About Speeding,” signs. 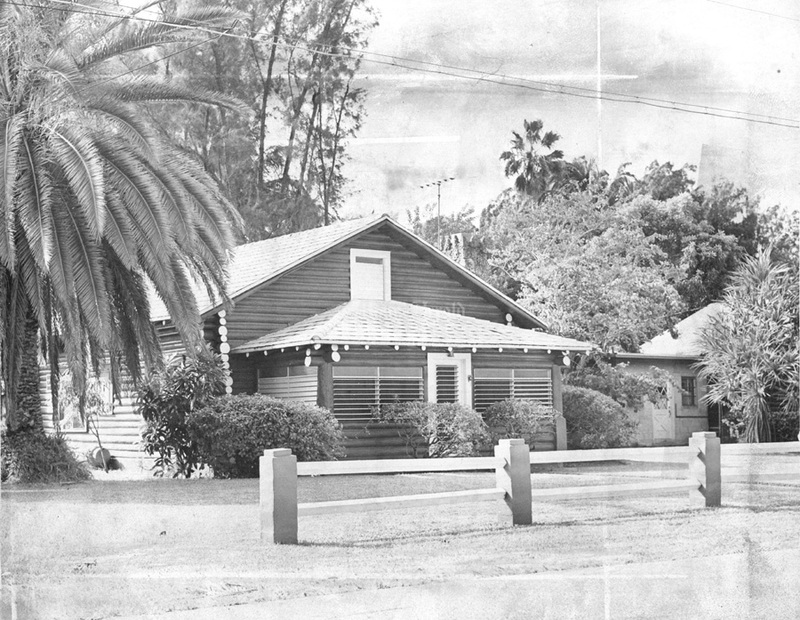 And then there’s the lovely old Log Cabin at 640 NE 114th St. The Log Cabin was declared a historic site by the Dade County Historical Preservation Board. 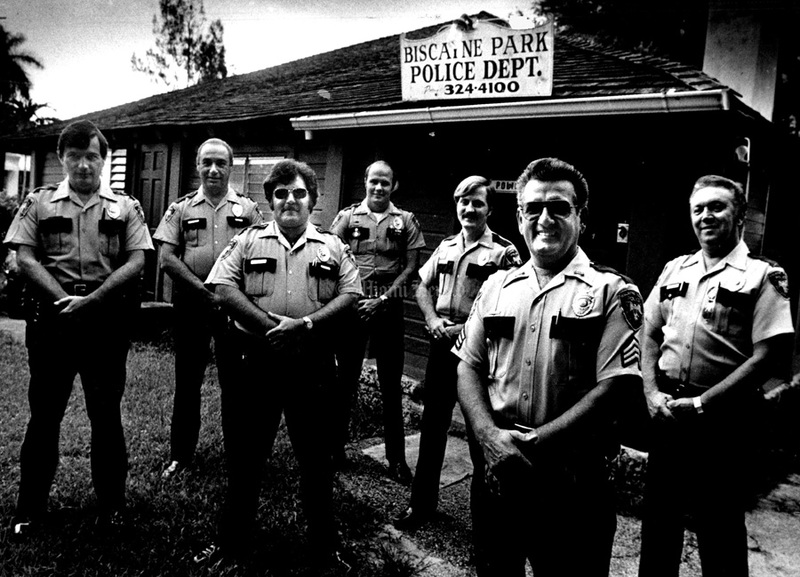 6/28/1981, Carol Guzy/Miami Herald: Biscayne Park Police Department. L - R Robert Tankersley; chief Daniel Marx; Barry Noe; Nick Ladas; Steve Harold; Joseph Lomaggo;l Edward Adler. 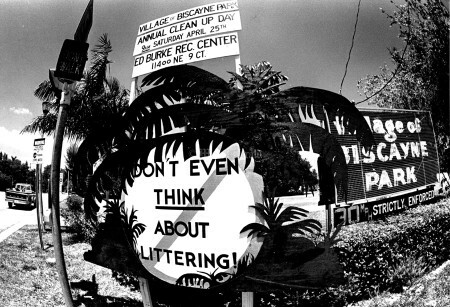 Undated, Carol Guzy/Miami Herald: Sign at NE 6 Ave and 117 St. in Biscayne Park. 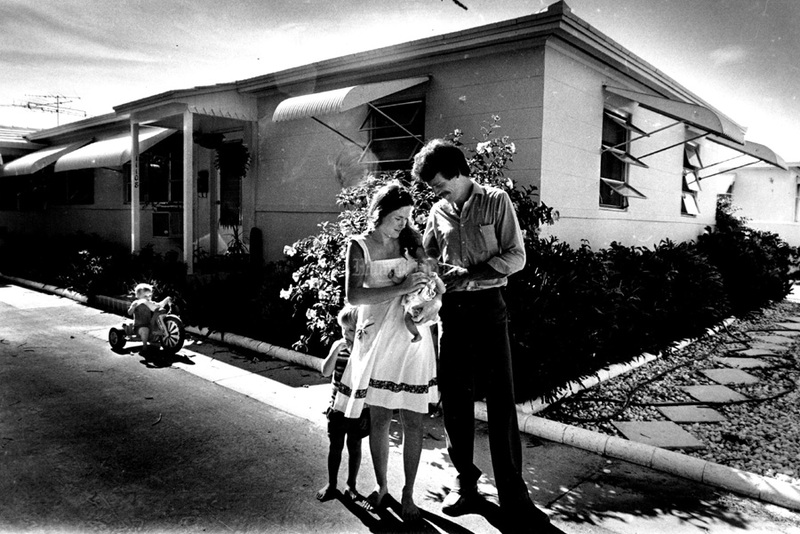 6/28/1981, Carol Guzy/Miami Herald: Mark and Mary Wilson with their 3 sons Joshua , Jeremy and Jason. 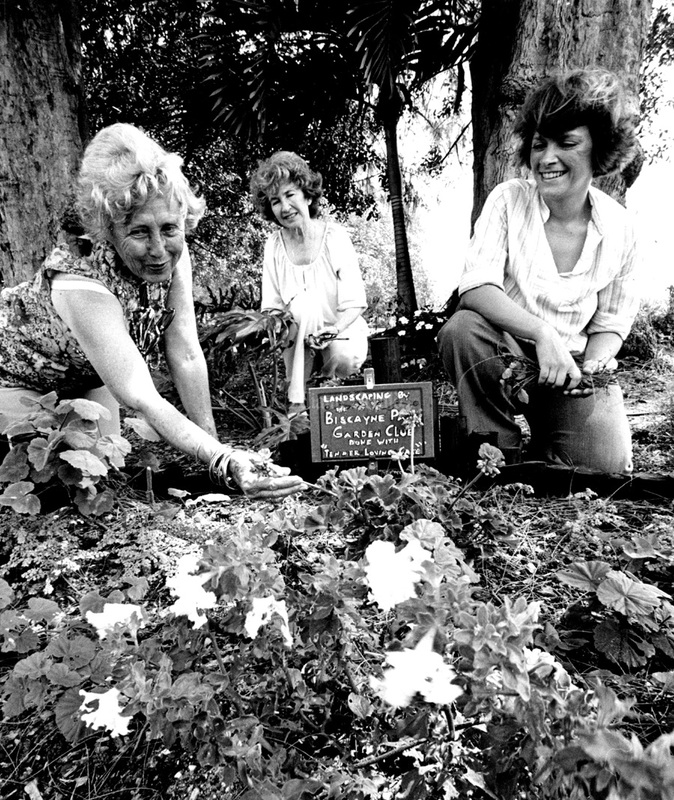 6/28/1981, Carol Guzy/Miami Herald: Weslie Middendorf at her house in Biscayne Park. 6/16/1983, Robin Shields/Miami Herald: Kim Whitaker 8, practices her gymnastics routine in front of her mother, Tina Whitaker her friend, Christi Bajdic, 11, and her dog Cookie and Tuffie the cat. She was doing flips to the music of 2001 Space Odyssey. Christi is also going to be in the talent show, playing piano. 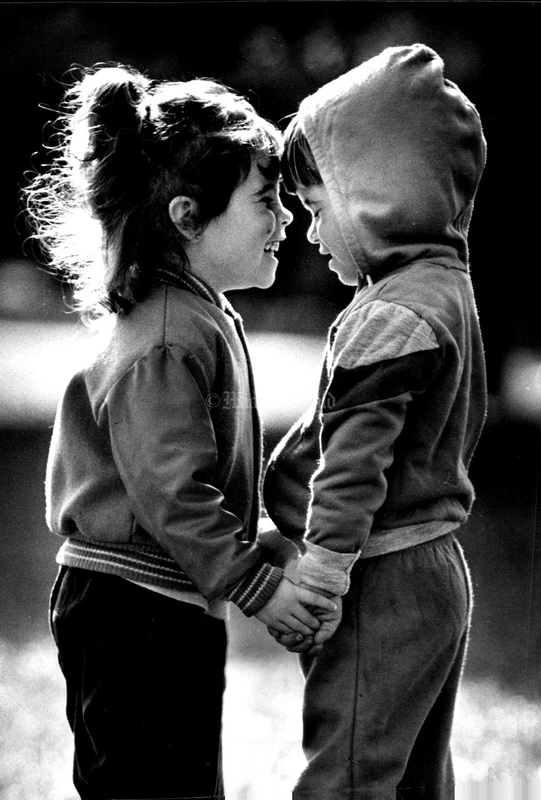 3/13/1983, Bill Frakes/Miami Herald Staff: Sean, 5 and Stephanie, 3, brother and sister enjoying chilly afternoon air at Biscayne Park. 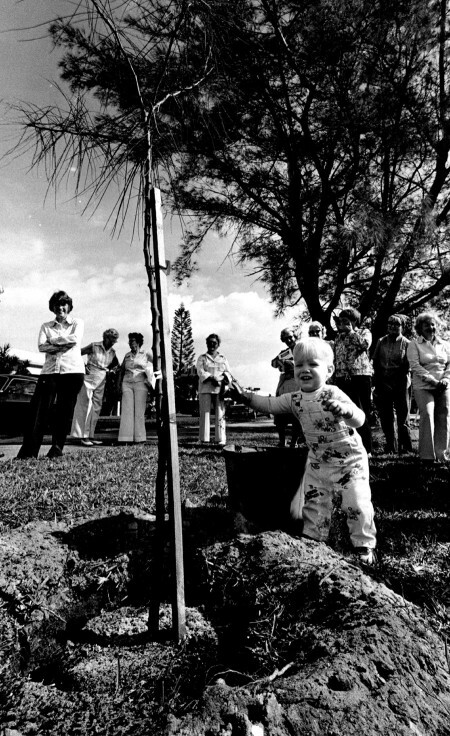 1/18/1979: Adams Jones, 17 months old maybe the youngest member of the Biscayne Park Garden Club - help plant the yellow flowering Parkinsonia tree. 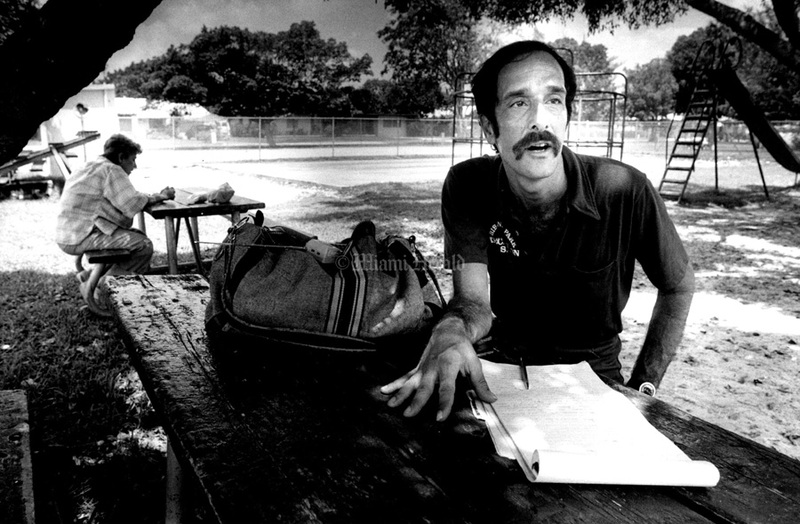 10/11/1979, Alan Freund/Miami Herald: Biscayne Park. 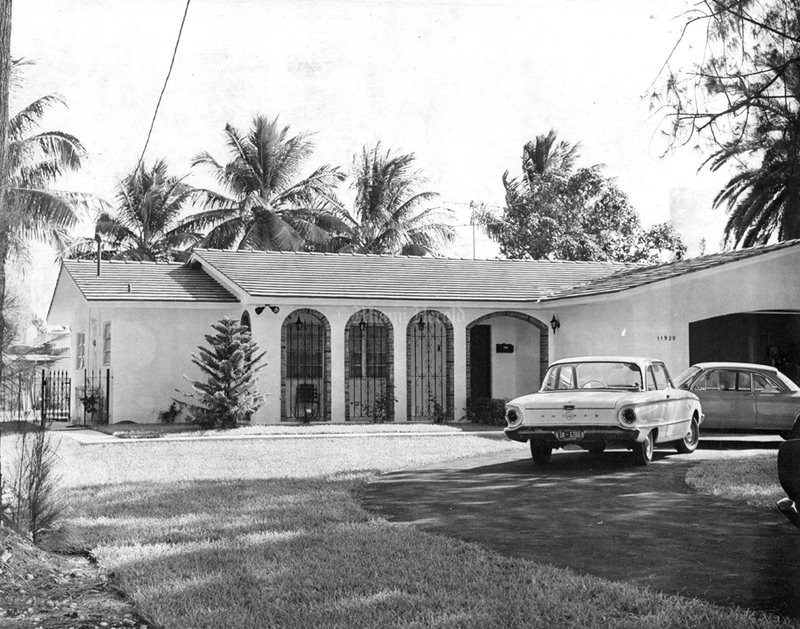 11/22/1969, Bill Kuenzel/Miami Herald: New House, 11929 Griffing Blvd, Biscayne Park. 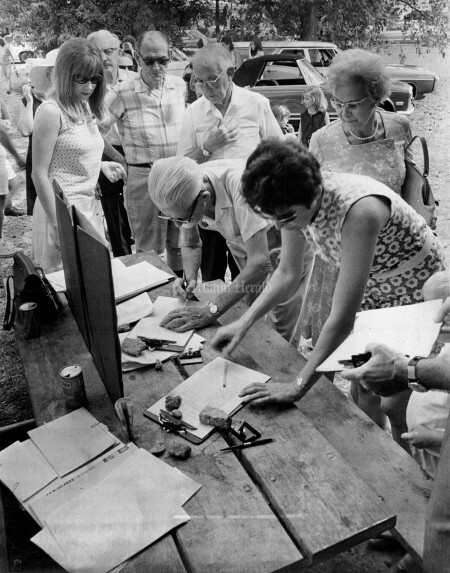 10/25/1969, Albert Coya/Miami Herald: Biscayne Park residents sign petition against expressway. 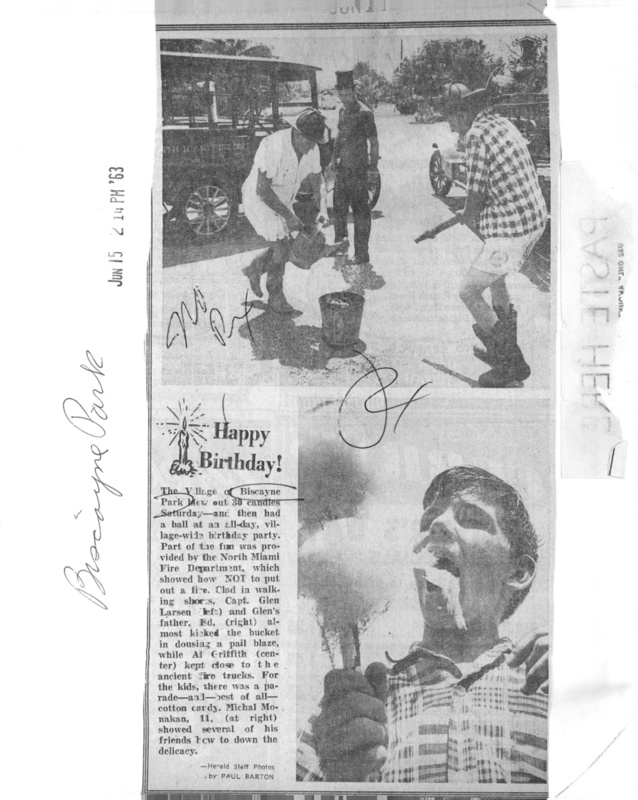 6/15/1963, Paul Barton/Miami Herald: Happy Birthday! 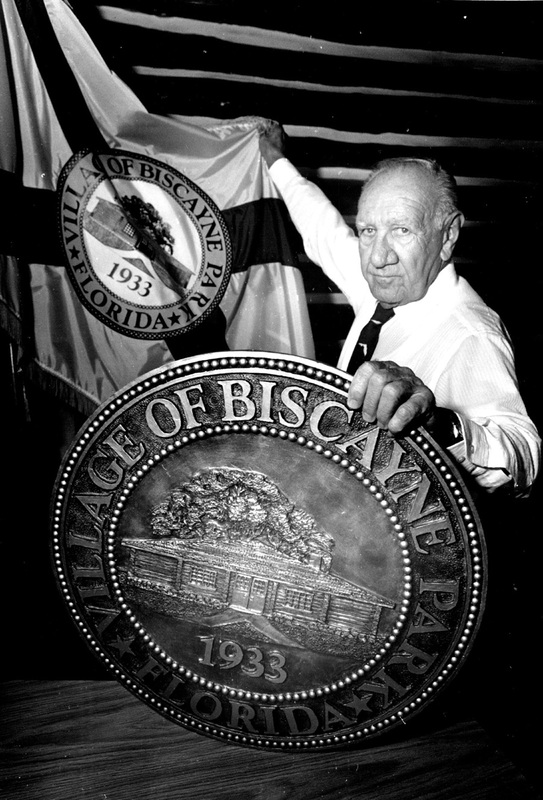 The Village of Biscayne Park blew out 30 candles Saturday - and then had a ball at an all-day, village-wide birthday party. 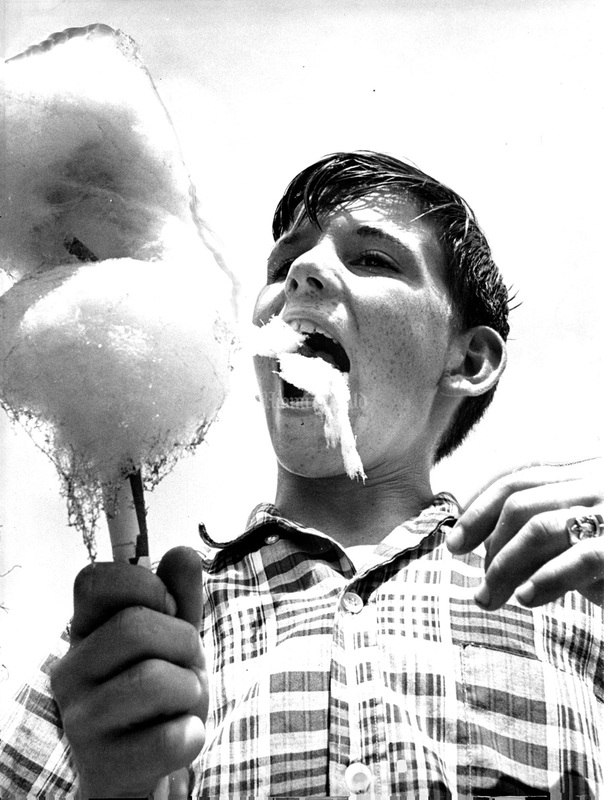 For the kids, there was a parade and best-of-all, cotton candy. Michal Monakan, 11 showed several of his friends how to down the delicacy. 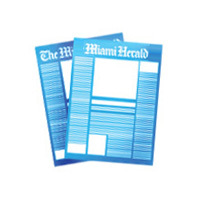 6/15/1963, Paul Barton/Miami Herald: Happy Birthday! 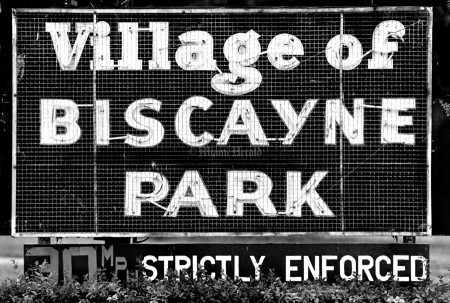 The Village of Biscayne Park blew out 30 candles Saturday - and then had a ball at an all-day, village-wide birthday party. 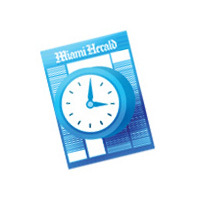 Part of the fun was provided by the North Miami Fire department, which showed how not to put out a fire. Clad in walking shows Capt. Glen Larsen (left) and Glen's father, Ed, (right) almost kicked the bucket in dousing a pail blaze, while Al Griffith (center) kept close to the ancient fire trucks. For the kids, there was a parade and best-of-all, cotton candy. Michal Monakan, 11 showed several of his friends how to down the delicacy. 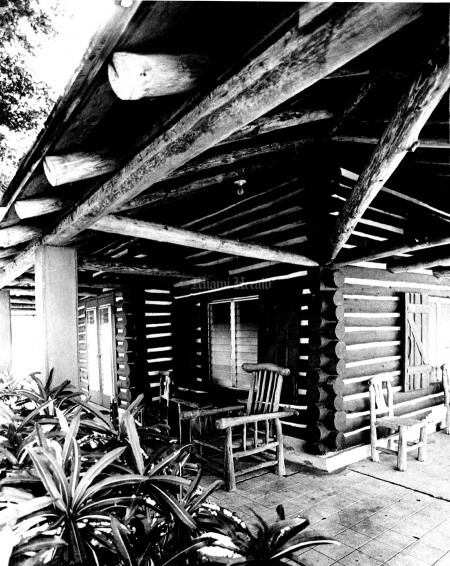 11/22/1969, Bill Kuenzel/Miami Herald: Log Cabin, 640 NE 121st St, Biscayne Park. 9/22/1986, Andrews Inneraity/Miami Herald: The Biscayne Park sign at NE 113st and 13th Ave.
4/3/1980, Alan Freund/Miami Herald: Biscayne Park Garden Club members. 2/9/1988, Rick McCawley/Miami Herald: Jim Kotwica and friend move rocks around the base of the Biscayne Park welcome sign. 4/20/1987: New sign at entrance to Biscayne Park. 3/4/1987, Al Diaz/Miami Herald: Biscayne Park Mayor Ed Burke shows assistant city clerk. 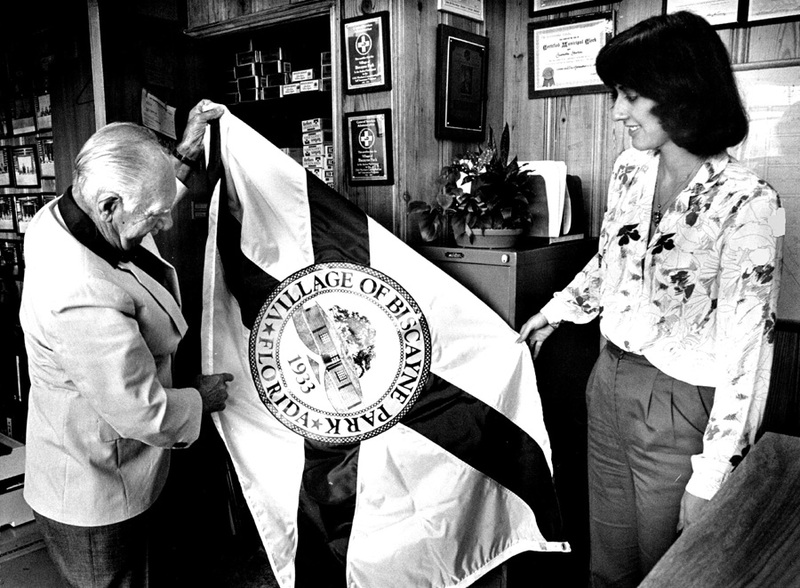 Pat Cerny the new city flag. 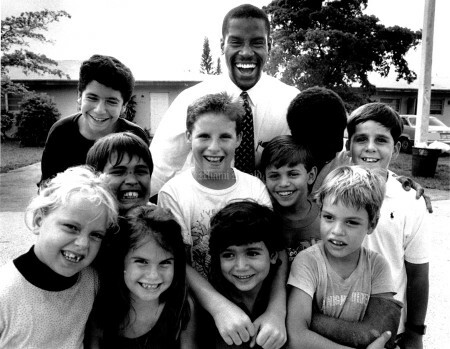 7/6/1989, Rick McCawley/Miami Herald: Cedric Johnson with his mentees at Biscayne Park. 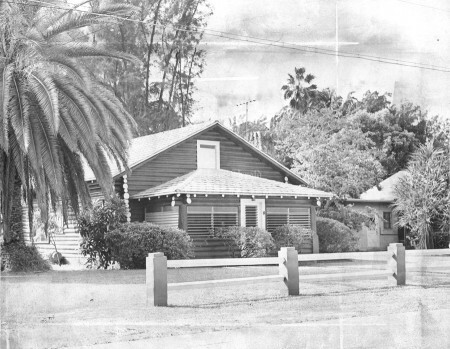 Johnson grew up in the Edison/Little River, El Portal and Biscayne Park areas with five brothers, so he always had other children to play with. Some children, he says, aren't that fortunate. So Johnson does his best to help the kids in Biscayne Park and those from other areas. He and a few of his childhood friends, including three of his brothers, have formed a club named Poor Boys of Miami. 3/18/1987, Al Diaz/Miami Herald: Biscayne Park Mayor Ed Burke watches the director of public works, Tom Nunn and Charlie Bynum, a public works crewman. 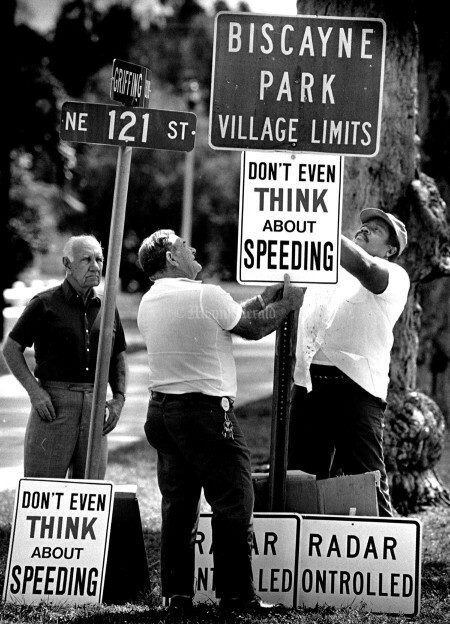 They are installing the new don't speed signs in Biscayne Park. This one is located at Griffing Blvd. NE 121 St.
7/8/1988, Rick McCawley/Miami Herald: Biscayne Park Mayor Ed Burke holding new village shield. 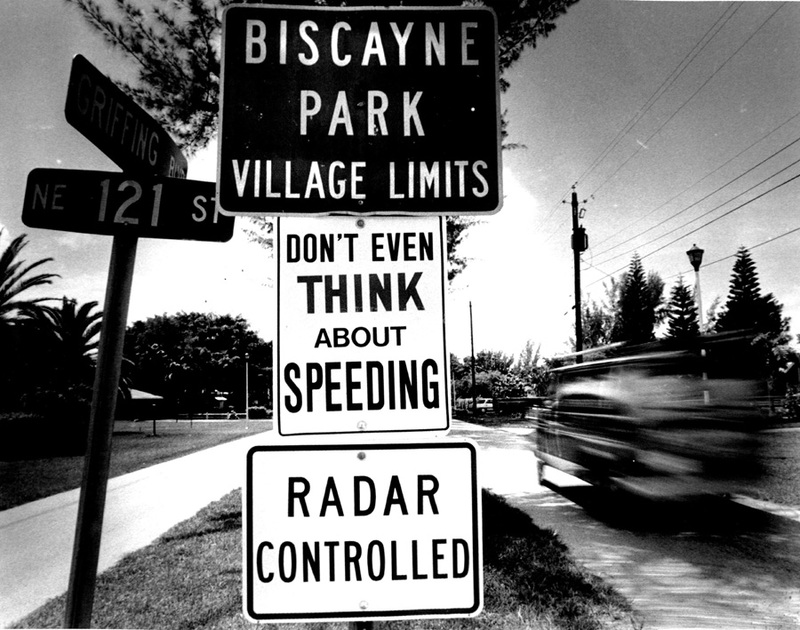 Undated, Rick McCawley/Miami Herald: We focus on speeding in Biscayne park and the "Don't even think about speeding" signs. 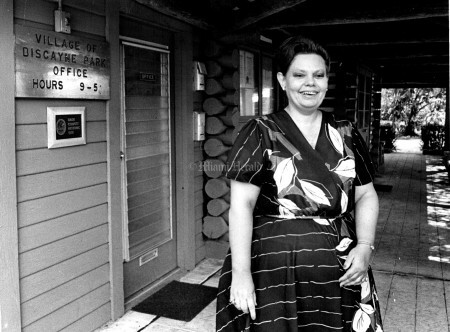 5/9/1984, Robin Shields/Miami Herald: Biscayne Park's City Clerk is Janette Horton. 5/16/1985, Robin Shields/Miami Herald: Steven Eisenstein the new Biscayne Park Recreation Director works on the park newsletter under a tree in the park. 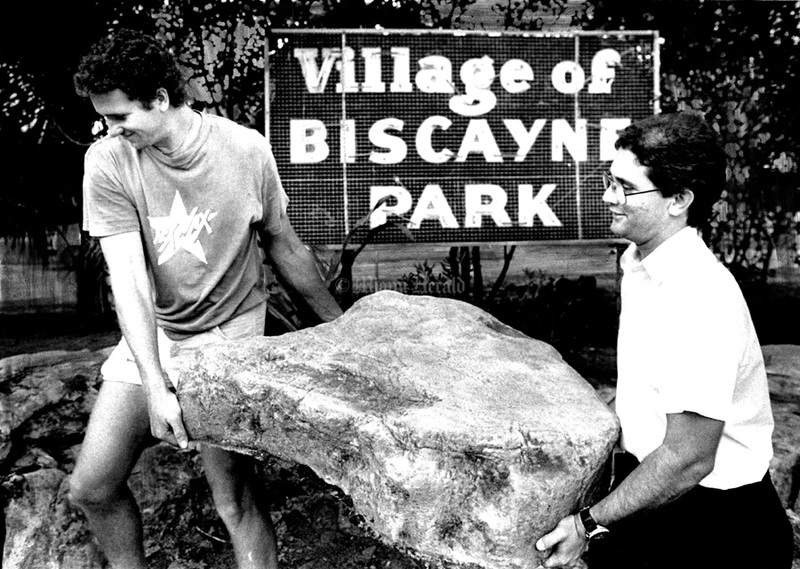 12/4/1983: Top Log Cabin, Biscayne Park. The Log Cabin is almost as old as the village. 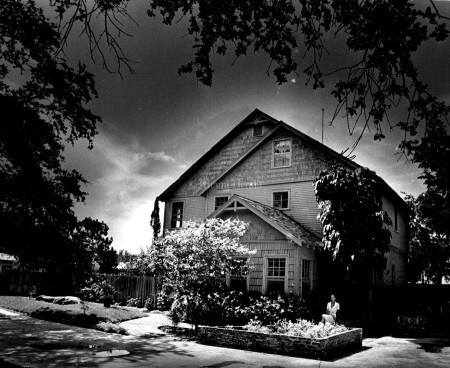 It was started in 1933 and finished in 1935 by the federal Works Progress Administration. Residents donated the building materials. The pine logs and cedar shingles were hand-hewn. 11/11/1979: Biscayne Park may be best known as a speed trap to drivers along busy NE Sixth Avenue who ignore the, "Don't Even Think About Speeding," signs.